It's a slightly older picture, but then again I took it almost exactly four years ago on the 14th of August 2006. In any case, I don't think much, if anything, has changed in this view since. 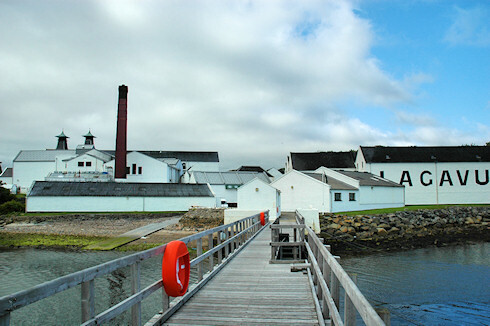 It's probably not a big secret that I sometimes struggle with the decisions and actions taken by the parent company for Lagavulin distillery, but I'd like to use this opportunity to point out that this doesn't extend to their employees on Islay. I've met several of them over the years and think they are great people. I hope they know that, but I wanted to put that in writing as well. With that thought I'm going to close for tonight, as usual I will post a larger version of the picture on the Islay Pictures photoblog on Saturday morning. Until then, good night!